When out on the trails at night in your Wrangler JL it is a good idea to have some extra lighting so you can see whatever obstacles you are about to overcome clearly. 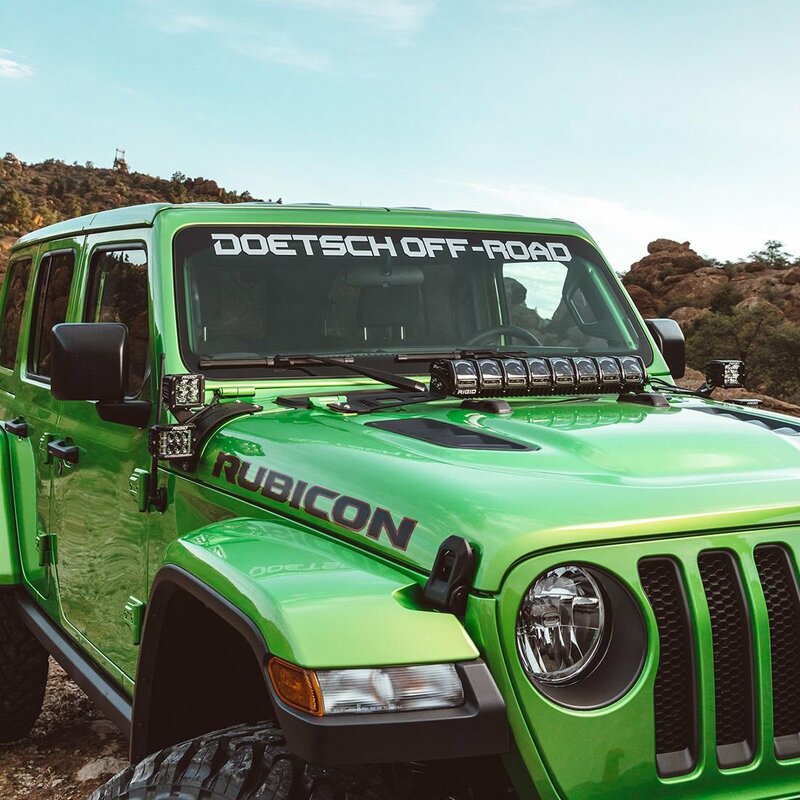 With all the different mounting options out there on the market your Jeep's hood is a great place to mount a light bar to turn night into day. 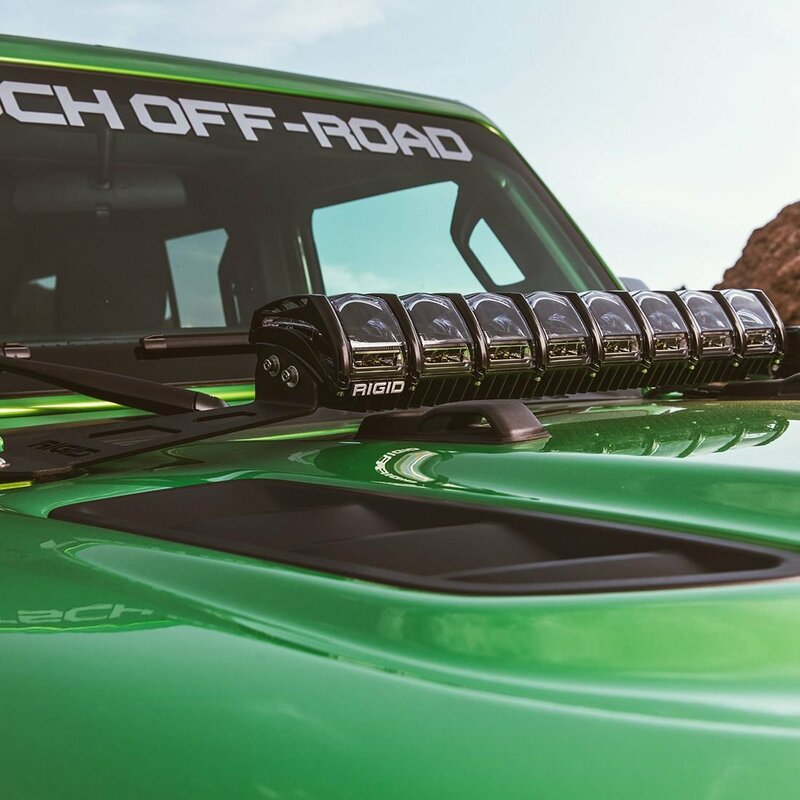 The 20" Adapt LED Light Bar Hood Mount makes a great addition for your off-roading needs using the factory hood mounting bolts to mount a 20" Adapt Light Bar. 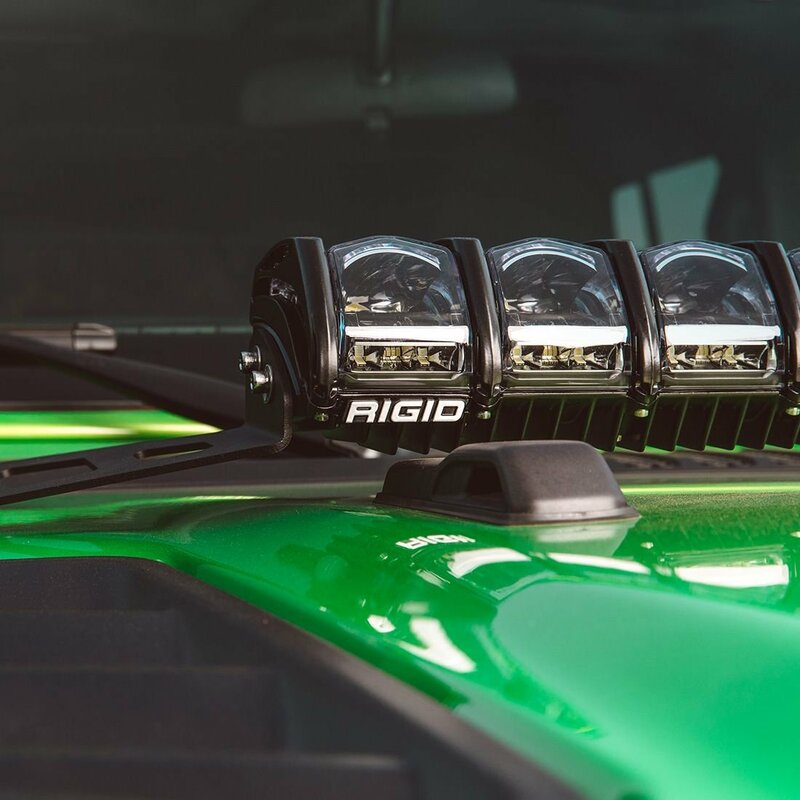 Adapt Light Mount: Add the Rigid 20: Adapt light bar to the hod of your Wrangler JL giving you a versatile light abr at your disposal. 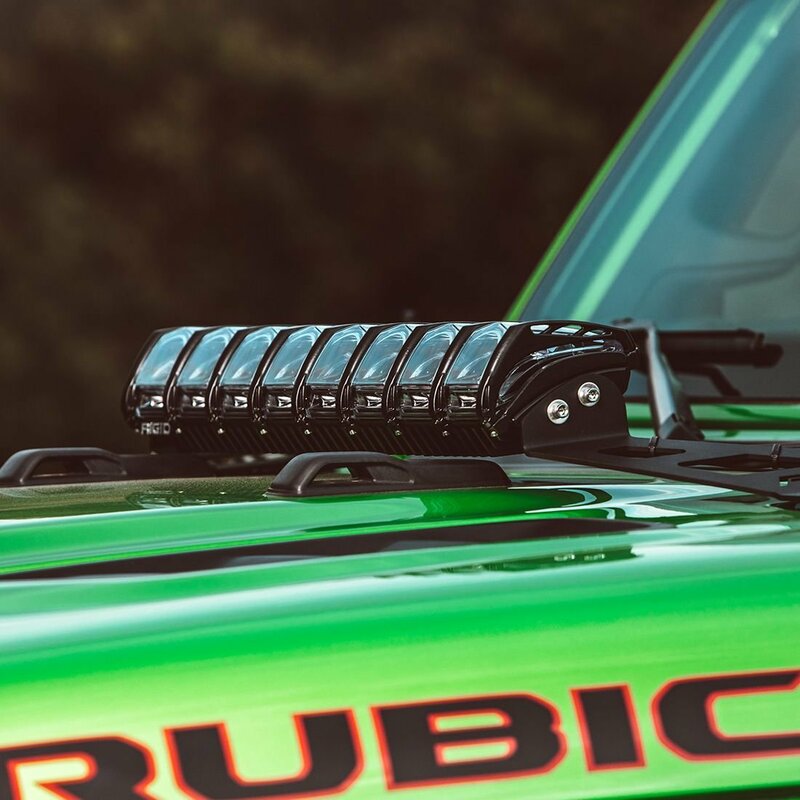 The Adapt light bar comes standard with 8 selectable beam patterns ranging from 90 degree short range flood to 15 degree long range spot lights. Construction: Laser cut from stainless steel for stylish looks along with accurate fitment then powder coated to prevent corrosion. 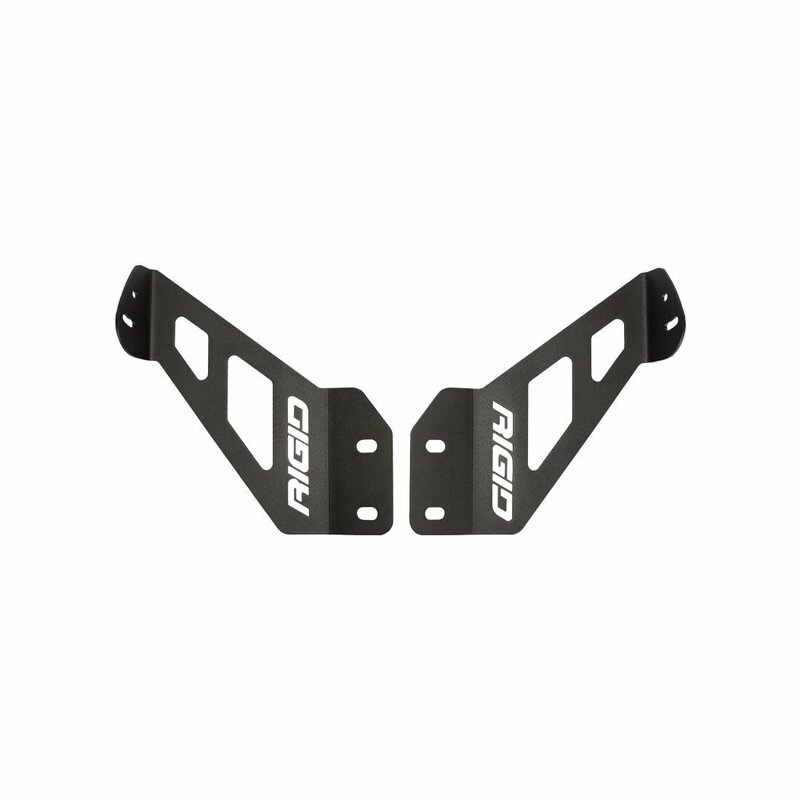 Installation: These mounts are a quick simple install that requires no drilling or modifications to the hood of your Jeep. Simply uses the factory hood mounting bolts making for a quick and clean installation.